For cost reduction of the equipment or the apparatus!We recommend this model on the first use of infrared thermometer. This low price would be most suitable for using several quantity. Depending on its installing environment, the measuring distance and target size are able to be selected. Accurate temperature measurement is possible with setting a position easily as your looking. Low-price and general purpose TMHX-CNE would cause large cost reduction when several are needed. This thermometer is possible to be used alone. Three kinds of standard measuring distance and target size; 35mm/φ1.5mm、70mm/φ3.0mm、120mm/φ5.5mm. By using InSb(indium antimonide)elements,compared with the thermometer using thermopile,its response speed became much faster and it is more stable.It is the new standered for measurment low-mid temperature. Small and light type thermometer is very useful to install even to a narrow space or to a moving place.It is able to install the thermometer to the facilities later. It is very easy to fix the aim because the aim lighting range is equal to its measuring range. In addition, dust proof construction made it usable under harsh environment. By using various accessories, installation conditions are much extended. All of TMHX series are calibrated, if it is needed, the traceability system diagram is possible to be issued. Various lineups of indicating setter and parameter setter have been prepared. It is able to be used with a thermometer alone without indicating setter. Because of low price TMHX-CN(E), large cost reduction is expected even by using several thermometers installing. 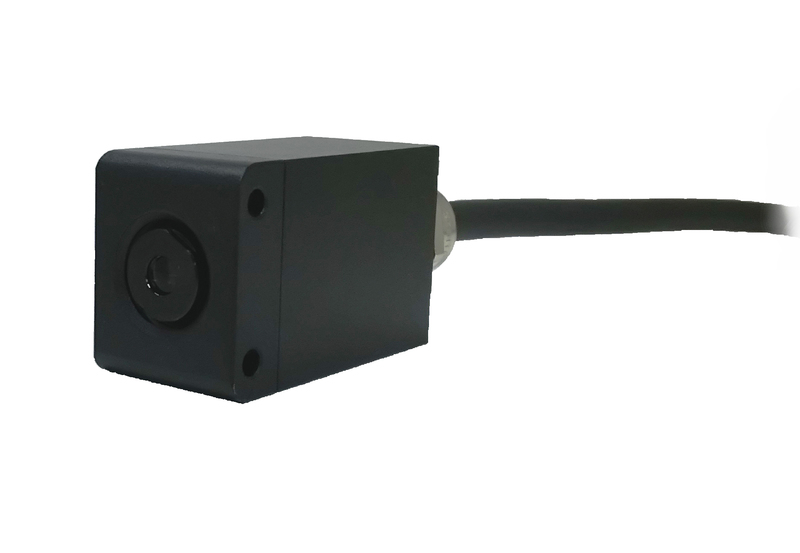 Standard measuring distance and target size are 35mm/φ1.5mm 70mm/φ3.0mm and 120mm/φ5.5mm.It is also possible to use at other distance except these. By using InSb(indium antimonide)elements, compared with the thermometer using thermopile,its response speed became much faster and it is much more stable.It is in general use and its response speed is very high. With the optical coaxial LED sight method which TMHX-CNE0500 series use, it is very easy to set the position because it shows almost of the measuring range as looking with eyes. It let the temperature measurement be more accurate because the measuring range is set to that of the work piece. Dust proof construction (IP67 equivalency) made it usable under harsh environment. 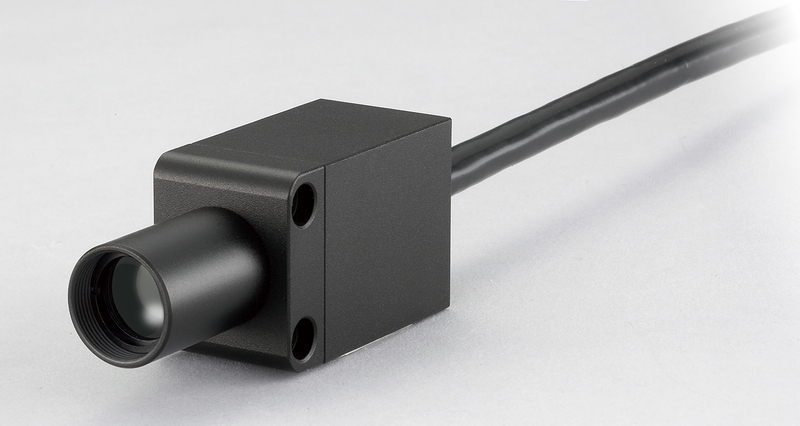 In addition, with various accessories, more stable temperature measurement is possible even under severe conditions. In spite of its low price, all of TMHX-CN series are calibrated. If it is needed, the calibration certificate or the traceability system diagram are able to be issued. “The traceability system diagram” means the systematization which the calibrated instruments are able to be followed up to the national standard or the international standard. The reliability of the measurement value is guaranteed. Various lineups of indicating setter and parameter setter are prepared. Please select an indicating setter or parameter setter which is most suitable for your application. Is it not able to install a thermometer for narrow space? When installing a thermometer to moving place, is its overweight anxious problem? →They are solved by TMHX-CNE. It is small and light type ;its dimensions are 30×24×48.5mm and its weight is 80g.